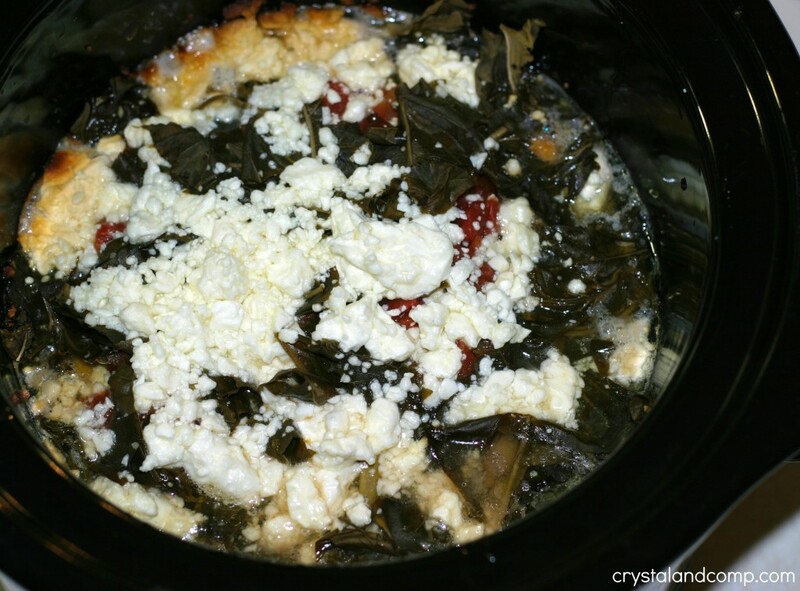 My slow cooker is a life saver for me and any time I can toss dinner in there I am all for it! 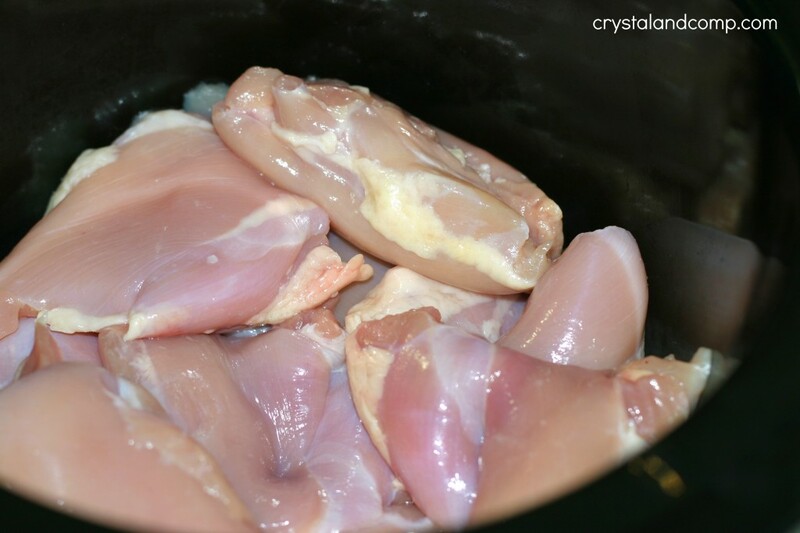 Chicken cooks so well in the slow cooker and it is certainly my go-to staple when cooking in the crockpot. Do you love Mediterranean food? I love, love, love it! And the smell of this cooking all day long will make your home smell amazing! Easy recipes like this are perfect for any busy weeknight. 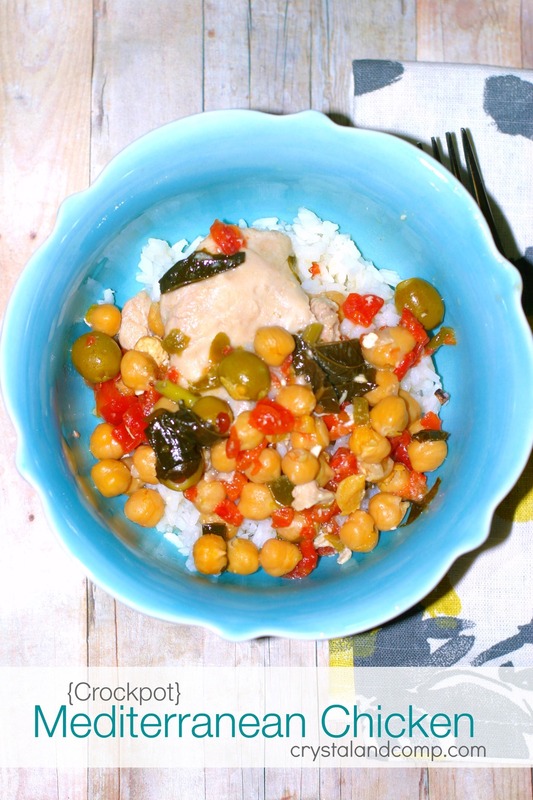 I am going to show you how chicken thighs, feta cheese, fragrant fresh basil, chickpeas and olives make a scrumptious dinner! Place the chicken in the bottom of your slow cooker. I used my 4 qt. because my 6 qt. was dirty. Using the 6 qt. slow cooker will allow for quicker cooking because it can layout more evenly since there is more room. Either is fine. 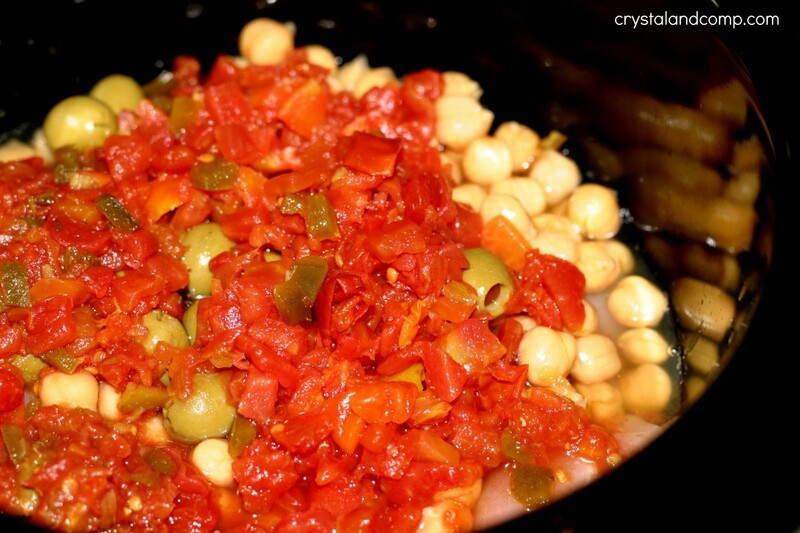 Add in the chicken peas, tomatoes and olives. You can drain them all if you want, but I like to add the juices because I like the broth that it makes. Add the later of basil. Add more than 1/4 of a cup if you want. I love it! 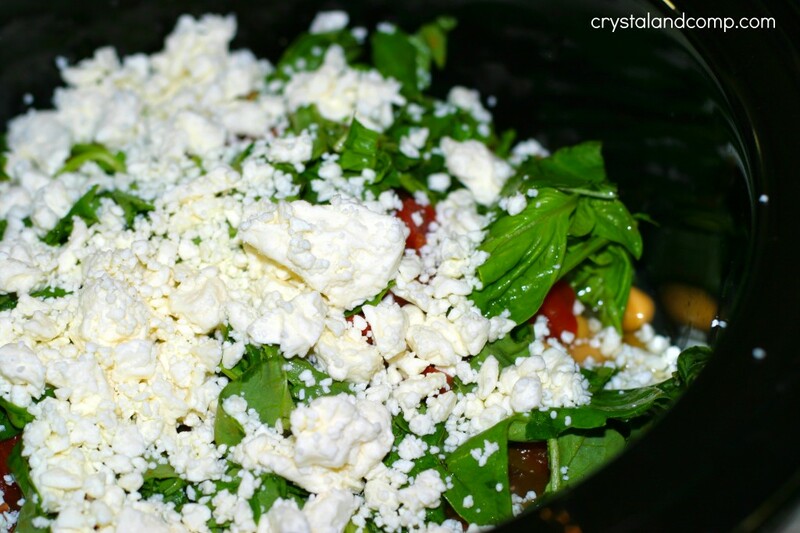 Top with the crumbled feta. Pop the lid on it and cook on high for 4-6 hours. Your house will smell amazing while the flavors come together. When it is done this is what it will look like. I stir it up to mix everything together. I cook up 2 cups of rice. We like to serve this in bowls. I first add the rice then top with the feta, basil, chickpea mixture and then top with a piece of chicken. I then add a ladle of broth. Amazing!!! I also like to add a plate of pita chips and hummus to the table as a little side. 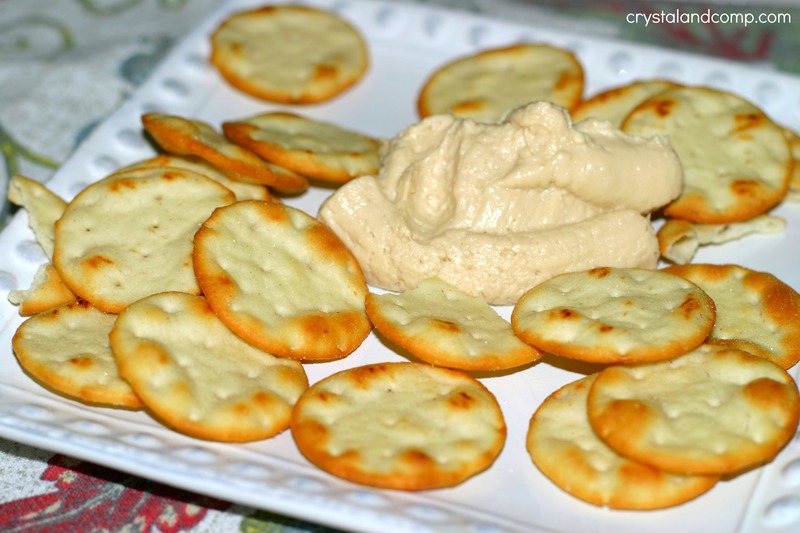 Not everyone at my house likes hummus, but for those of us who do this is the perfect side. 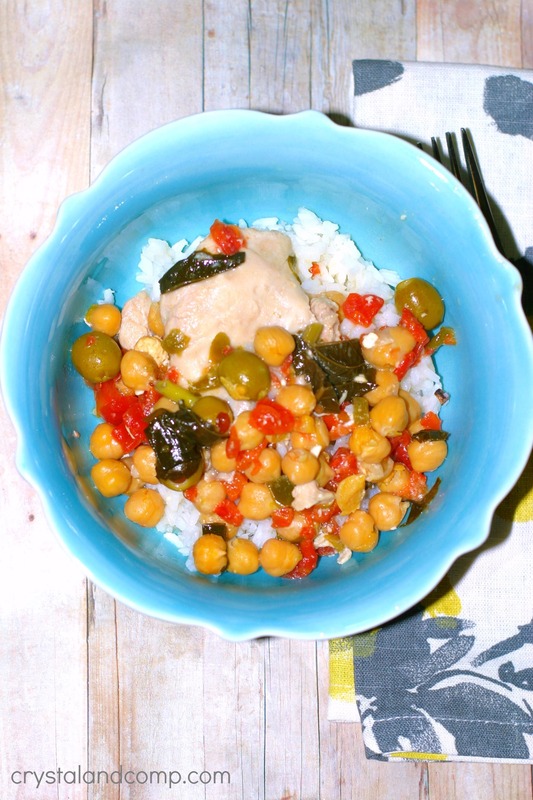 Super easy dinner and it’s pretty healthy. I love that the clean up is simple too! I cooked your recipes and they are great. Thanks Crystal! Clarissa that is so awesome to hear! Thank you so much for the feedback. Oh my, this sounds delicious Crystal!